EME is delighted to provide access to Energy Medicine education and we do this every month with our Facebook flow and with content shared freely at our EMEX events. EMEX has now come of age and so much material has been generated that it requires improvements to its access and that is what we are celebrating here with the launch of EM Eye, click the link above to access. This is an open group of energy medicine professionals and well-wishers who support a wider integration of EM modalities into the mainstream. We share a passion for self-healing, working with clients, and charting steps and events for this passion to thrive! We encourage high ethical/moral standards in all posts and activity. Posts not relevant to Energy Medicine will be deleted, to the best of our ability to monitor them. 1) To promote 'Health Choice' and a wider access to energy medicine modalities - for anyone seeking care. With a database of research and a network of qualified supporters we also seek to defend energy medicine wherever it is misrepresented or if ever a qualified practitioner is concerned. 2) To organize free on-line events for continuing education and to spread awareness of energy medicine modalities. 3) To provide an independent database of all EM devices and modalities for public accessibility to existing and future research at www.energymedicineexchange.com. 4) To create a safe place for our members and friends to access energy medicine tools and services by developing relationships and sharing conversation about our individual services. Members are encouraged to express views freely in conversation, and are encouraged to interact with open minds and hearts. Respectfully offered varying perspectives are welcome in order to facilitate awareness of EM related issues. All members are to refrain from making derogatory or demeaning comments to any member of the group. Members who do not comply with these respectful guidelines or with the standards established by this group and all relevant Facebook policies, may be banned. For further information on guidelines for posting please refer to our Welcome document. Please do not block any EME admins (admin names can be viewed from the drop down menu in the members section). We feel all well-intentioned members would want the group's admins to be in touch unhindered. Thank you. The most common language used by EME members is English, therefore, administrators have agreed that all posts should be in English. We do not yet feel that the translation option is adequate for communicating sensibly. Members are requested not to make claims to cure, diagnose or heal anyone of any conditions in posts, threads or in private messages that occur as a result of a discussion on EME. The members are solely responsible for products and services promoted and advertised by them in the posts, conversations, and private messages that occur as a result of a post shared in this group. The founders/group administrators cannot be held liable for any damages incurred by choices made by the members or guests frequenting the group, based on information exchanged herein. By participating in this group, you agree to indemnify all group members from being responsible for your health and well-being. To promote 'Health Choice' and a wider access to energy medicine modalities - for students, healthcare professionals and anyone seeking care. 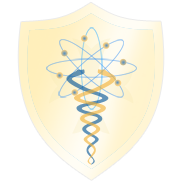 With a database of research and a network of qualified supporters we also seek to defend energy medicine wherever it is misrepresented or if ever a qualified practitioner is concerned. 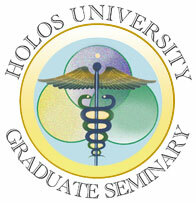 To organize free on-line events for continuing education and to spread awareness of energy medicine modalities. To provide an independent database of all EM devices and modalities for public accessibility to existing and future research atwww.energymedicineexchange.com. To create a safe marketplace for our members and friends to access energy medicine tools and services. Members are requested not to make claims to cure, diagnose or heal anyone of any conditions in posts, threads or in private messages that occur as a result of a discussion on EME. All members are solely responsible for products and services promoted and advertised in the posts, conversations and private messages that occur as a result of a post shared in this group. The founders / group administrators cannot be held liable for any damages incurred by choices made by the members or guests frequenting the group, based on information exchanged herein. By participating in this group, you agree to indemnify all group members from being responsible for your health and well-being.